After publication of this work , we noted that Figure Two Y axis is labeled incorrectly as CA IMT (mm). The correct label is ''CA Diameter (cm)'' (see figure 1). 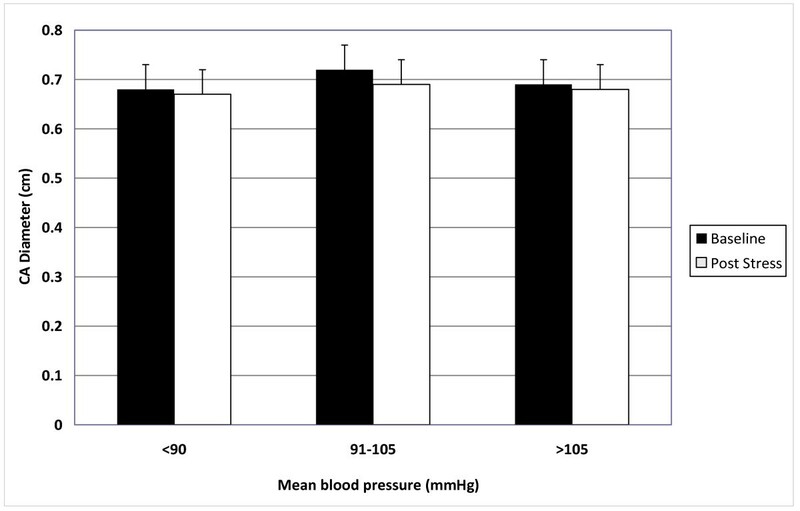 Figure two – Bar graphs showing the effect of mental stress on carotid artery diameter in hypertensive subjects with increasing mean blood pressure. The following statement should also be deleted from the text: "Twenty-three of 30 (76%) healthy subjects responded with vasodilation" under subheading ''Normal Human Volunteers''.